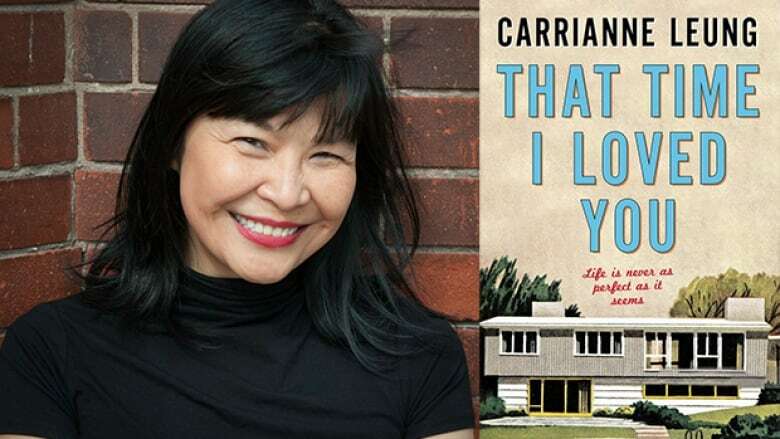 The Toronto-based author dissects the myth of the perfect life suburban life in her interconnected story collection, That Time I Loved You. The world Carrianne Leung builds in That Time I Loved You is one of secrets and hurts. It presents a series of interconnected stories set in the 1970s, moving from house to house and revealing the lives they contain. Outside, everything in the suburban setting of Scarborough, Ont. is shiny and new; but inside each house there are things people don't talk about. That Time I Loved You is on the Canada Reads 2019 longlist. The final five books and the panellists defending them will be revealed on Jan. 31, 2019. The 2019 debates are happening on March 25-28, 2019 and will be hosted by Ali Hassan. "The Scarborough that I moved to was brand new. There were lots of new subdivisions and schools. We had immigrated from Hong Kong and I remember my mom and dad were excited about this notion of having land — land being our tiny backyard and lawn. We were very much ensconced in the middle class. My parents would disdain of me going downtown to Chinatown, which was seen as seedy. We would talk about what the white folks do and would observe them and their barbecues. The first time I was invited to a friends house for dinner, it was interesting that their meat and vegetables did not touch each other on the plate. Those were startling realizations at that time. It was very much an orientation. As a writer, everything directs me back to my memories of Scarborough." "That Time I Loved You is about June's coming of age. Even though this book is not a novel, her voice appears in three stories. Having a 10-year-old child has helped me capture June's voice and remember some of my own childhood. I found it was interesting for her to grapple with what it means to feel so alive — she falls in love for the first time, she has these intense relationships with her best friend — and what it means when she realizes people close to her are choosing to die. From the beginning, that was the frame of what June would have to keep reflecting on. June is understanding that her world is bigger than just this neighbourhood." "The newlywed character of Francesca is not able to escape desires that leak out of her neat life. She wants other things. She may not know what those things are, but they soon take the form of this neighbour she becomes intrigued with — a container for all of her desires. Having all of this idle time and not being able to get pregnant, she has nothing else to do but yearn. What I found interesting about her is that she doesn't know what she's yearning for and this frightens her. When I reflect about the women in my neighbourhood growing up, I think about what happens when we desire beyond our roles and our immediate life. That's still a lesson women are struggling with now."